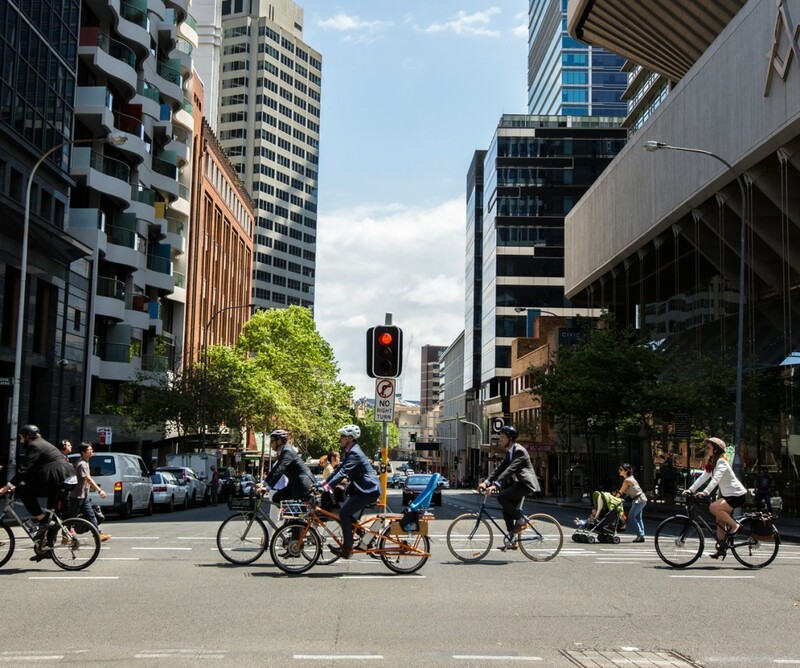 A network of connected, high quality infrastructure – our latest traffic counts show that this is key to get more people riding. At the Kent cycleway (crossing Druitt Street) in the city centre there has been a staggering 603% increase since counts began in 2010. The completion of Kent Street and the opening of cycleways on Liverpool and Castlereagh streets in 2015 created a safe and separated north-south connection from the Harbour Bridge to Green Square. This opened up a new transport option for people like Sally, who rides along Kent Street each work day. 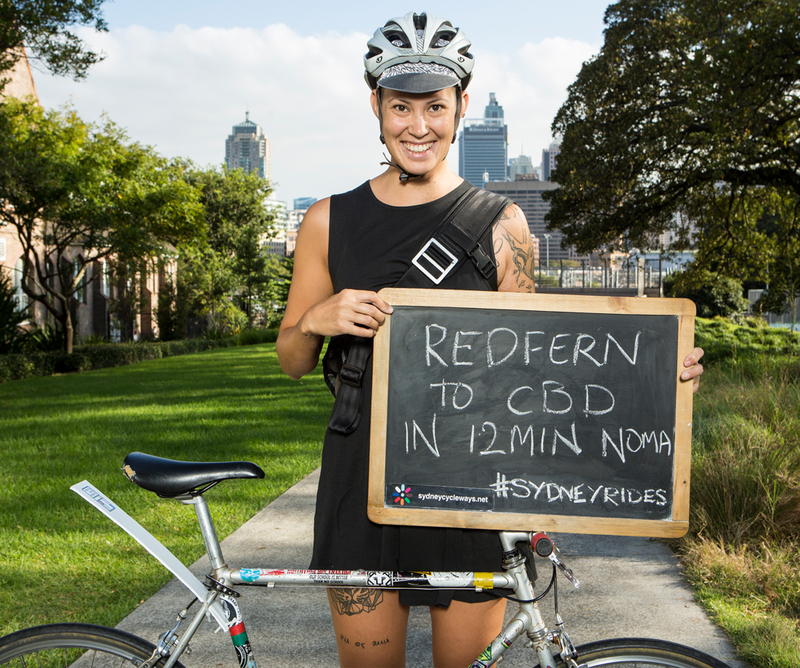 “I ride from Randwick to the city every day and use the Bourke, Liverpool and Kent Street cycleways. It is by far the quickest, most enjoyable and most reliable way to get in and out of town quickly as a working mum” Sally said. Established routes have also seen exceptional growth in the latest counts. Along Bourke Street (near Phelps Street), 1,007 trips were counted in the morning and afternoon peaks (6am – 9am and 4pm – 7pm), growing 371% since 2010. And at King Street (near Kent Street) there were 2,165 trips, growing by 322% since 2010. With trains and buses often full to capacity, and light rail construction along George Street in full swing, our city’s transport network is stretched. 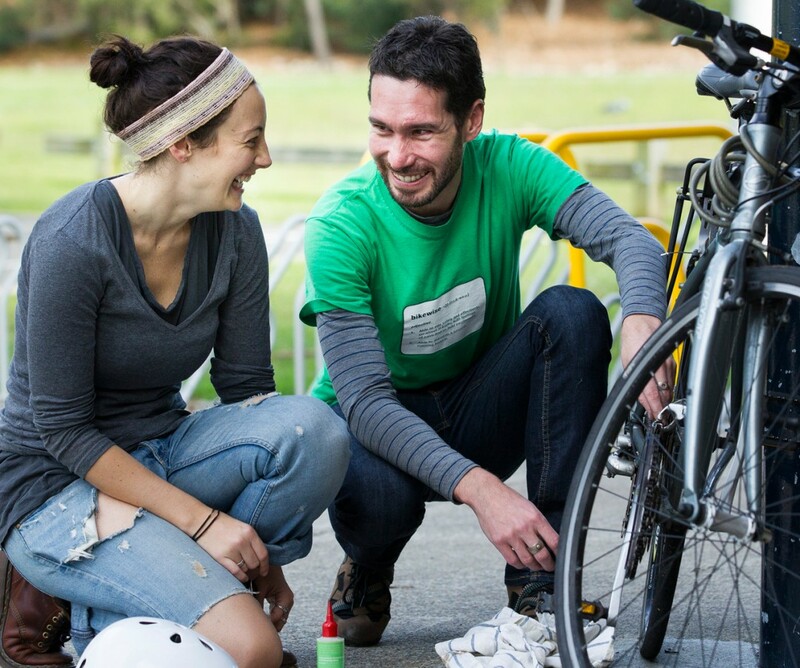 More people on bikes helps alleviate the pressure. We’re working on new connections, making it easier for people like Sally to travel by bike every day. Counts are conducted independently by Matrix Transport and Travel Data at 100 intersections throughout the City of Sydney area. The figures above represent the total number of movements during the morning (6am – 9am) and afternoon (4pm – 7pm) peak on one day. The total number of movements counted in October 2016 was 51,133. This is a 5% increase in the last year, and a 98% increase since counts began in 2010.